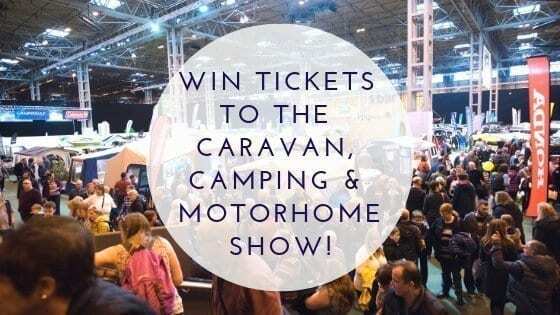 Home Lifestyle WIN TICKETS TO THE CARAVAN, CAMPING & MOTORHOME SHOW! Half term is fast approaching and you may already be looking into family activities to keep everyone busy and entertained. In which case, you will love the latest Sim’s Life giveaway! If you’re looking for a great family day out that offers fun, entertainment and plenty to do this February half term, then look no further than The Caravan, Camping and Motorhome Show! The show takes place from the 19th – 24th February 2019 at the NEC, Birmingham. Sim’s Life is offering 5 lucky winners a pair of tickets each to attend this exciting show! Children under the age of 15 can enter the show for free! Set over 5 halls, The Caravan, Camping and Motorhome Show has the largest display of caravans, camper vans, motorhomes, caravan holiday homes & lodges, tents, awnings and accessories all under one roof! Whether you are new to the outdoors lifestyle or a long time camper or caravanner, The Caravan, Camping and Motorhome Show offers inspiration for all; giving visitors a first-look at the latest innovations in camping and caravanning, as well as the latest trends in destinations. In addition to the latest products, The Caravan, Camping and Motorhome Show offers fun for all and will keep kids entertained all day. It may well have been many years since I attended the show myself as a child, but I still remember it fondly. There really is so much to see and do and the show is perfect for families. Perfect for fans of the outdoors, a new feature for 2019 is the exciting Bear Grylls Adventure area, offering a unique chance to take on four epic challenges based on the activities available at the new Bear Grylls Adventure at the NEC. I would name my motorhome Francois and we’d travel to France to watch the Tour De France! boudicca and i’d go to stonehenge! I would call it call it the Millennium Falcon and would travel where ever the galaxy allowed me to in it. Avoiding all death stars and planets inhabited by Gungans. Hamster Haven! (Because I love hamsters!) I’d love to travel around the UK as I’m not very well travelled due mental health difficulties- I’d like to make up for lost time and travel everywhere! Fabulous Flo, we’d come and go..
Over the hills and down to the low..
Bertha to travel far and wide. No adventure too small or too large. I’d call mine Coco and I would travel through europe! Ted. I would travel to Cornwall. Genghis. and I’d conquer europe.. I would call it Maximus and travel around the Lake District and the Scottish Highlands.